Brad Stevens coached Tuesday night’s game against the Knicks with a heavy heart. 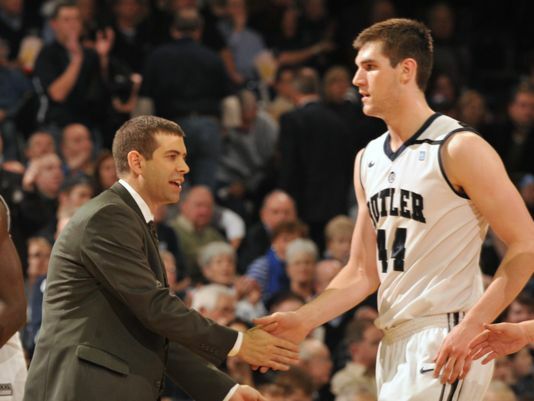 Andrew Smith, one of Stevens’ former player’s during his coaching stint at Butler, passed away earlier in the day after a two year battle with cancer. Brad missed a game last Thursday against the Bulls to visit Smith, who played under Stevens as a Bulldog from 2010 to 2013. It’s always been clear that Brad Stevens is one of those coaches who has a knack for developing special bonds with his players, and that’s evident as he copes with this heartbreaking loss. Obviously Andrew was an extremely gifted and driven kid whose positive attitude was contagious. Our thoughts are with his family and friends during this tough time.